Simple construction, uses standard 2"x4" pressure treated lumber. Parts - easy to order right online through our secure shopping cart. You can purchase the complete dock ladder (any size) and we will assemble and deliver to you. Or you can "Do-It-Yourself" by just purchasing the parts and we will ship them directly to you. 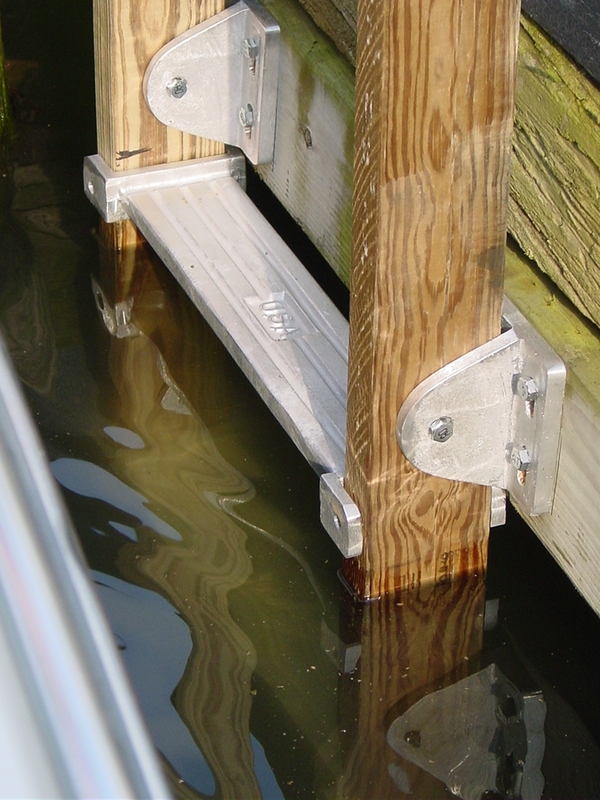 This is the easiest, step by step way to create a sturdy, long life, dock ladder for your dock, slip or bulkhead. Read disclaimer here. 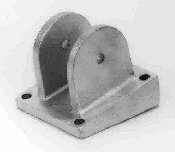 Aluminum castings are made from a marine grade alloy with a tensile strength of 35,000 pounds per square inch. Corrosion resistance is suitable for either fresh or salt water applications. Order online and save with no tax. Simply screw in the pieces to assemble. Purchase only the parts and the amount of steps you need. Do it yourself with just a few simple tools from around the house. A fraction of the cost of prefab or catalog dock ladders and easier to customize to your needs. 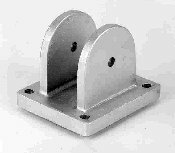 Ladder Mounting Bracket - Bolts to Dock or Deck as a means to attach 2"x4" ladder. 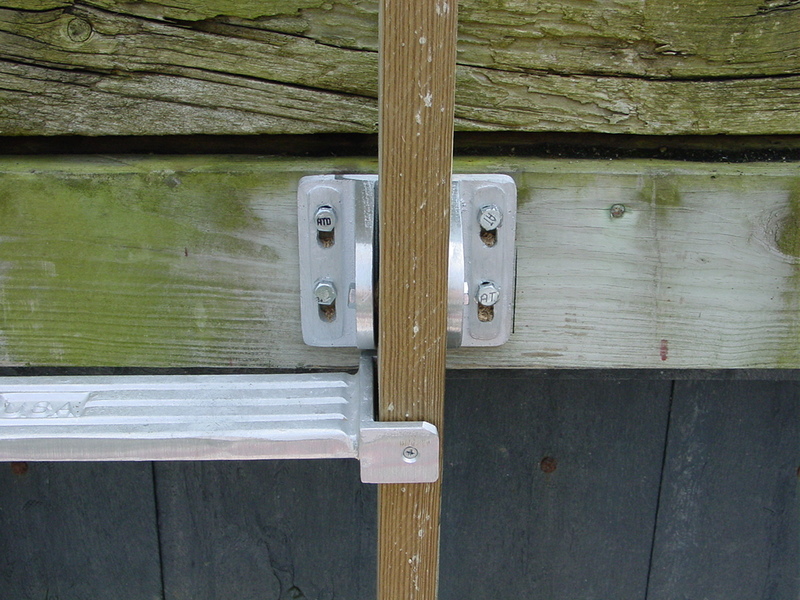 Optional 12 degree Angled Mounting Bracket - Bolts to Dock or Deck as a means to attach 2"x4" ladder. 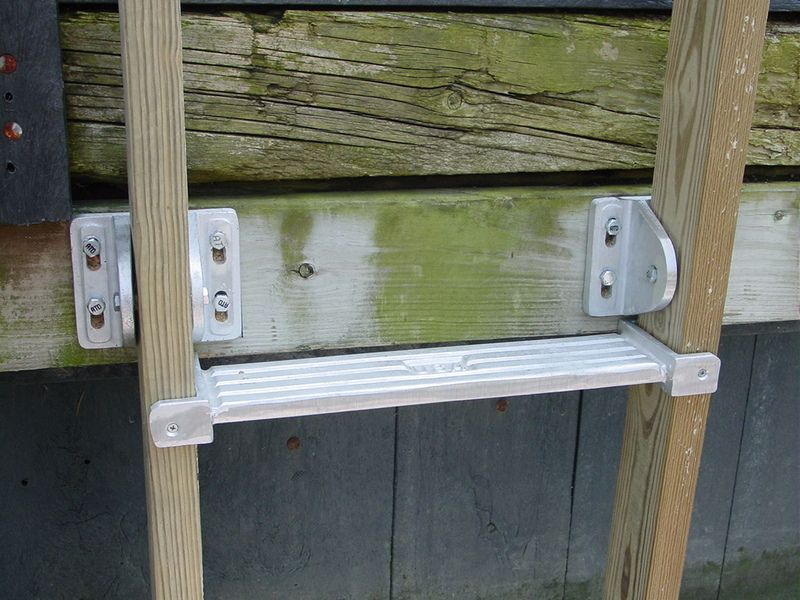 Ladder Step outside mount - Attaches to vertical 2"x4" ladder side rails. 20" length; 17" inside edges and 3 1/2" width on the tread. Ladder Step inside mount - Attaches to any size ladder side rails. 17" length and 3 1/2" width on the tread. Pipe mount step measures 20" to the outside edge and 4" width on the tread. Screws are optional and can be purchased by you at your local hardware store or in our store. Measure the depth to the bottom of the area where you want to place the ladder. Calculate how many steps you would need for the ladder. Order the total number of Ladder Steps and Mounting Brackets from our online store. Purchase 2" x 4" pressure treated lumber in the desired length (normally 8', 10' 12' and 14' in most lumber yards) NOTE: we left several feet above the ground level as support handles and allowed for about 6 inches to sink into the sea bed. Place one of the 2" x 4" upright in the area where the ladder will mount. Push the bottom firmly into the ground. Mark the place on the 2" x 4" where the mounting bracket will go at the cross beam. Now mark the place on the 2" x 4" where the steps will go on 10" centers. Take the board out and up to a level area. Put both 2" x 4" side by side and transfer the marks so they are the same on both. Attach the steps and make the ladder. Finally attach the mount to the cross beam on the bulkhead with the large screws. Same as above except do not measure to the sea bed. 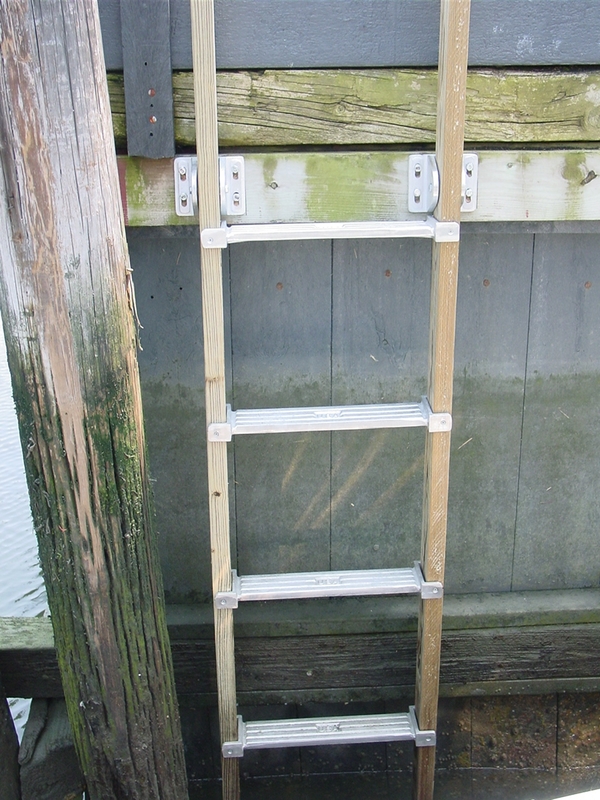 Instead figure the desired depth of the ladder so it will not touch the ground during low tide. For short ladders 2 Mounting Brackets should secure the entire ladder to the dock. 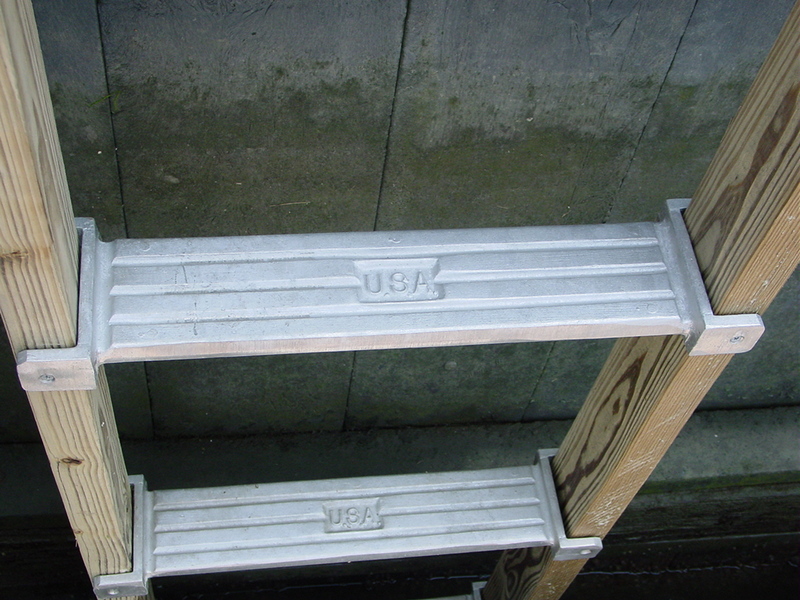 For long ladders use 4 Mounting Brackets to secure the ladder to the dock. Position the mounts 2 high and 2 low and as far apart as possible to get the most distance between them. If the above is not possible, mount the ladder close to an end of the floating dock so a third single mount can be placed low and to the side of the ladder for support. Disclaimer: These Specifications are intended to provide general guidelines as to installation. The builder/purchaser may not rely on this document for any guaranty as to product performance, merchantability, or fitness for a particular purpose. The author of these specifications and this web site disclaim any warranties, expressed or implied, relating to these specifications. 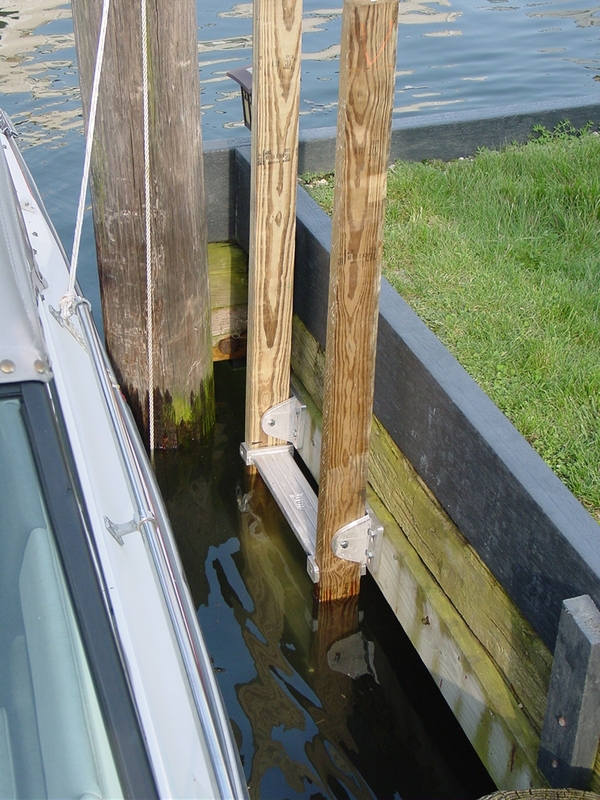 See our Boatlifts section here!